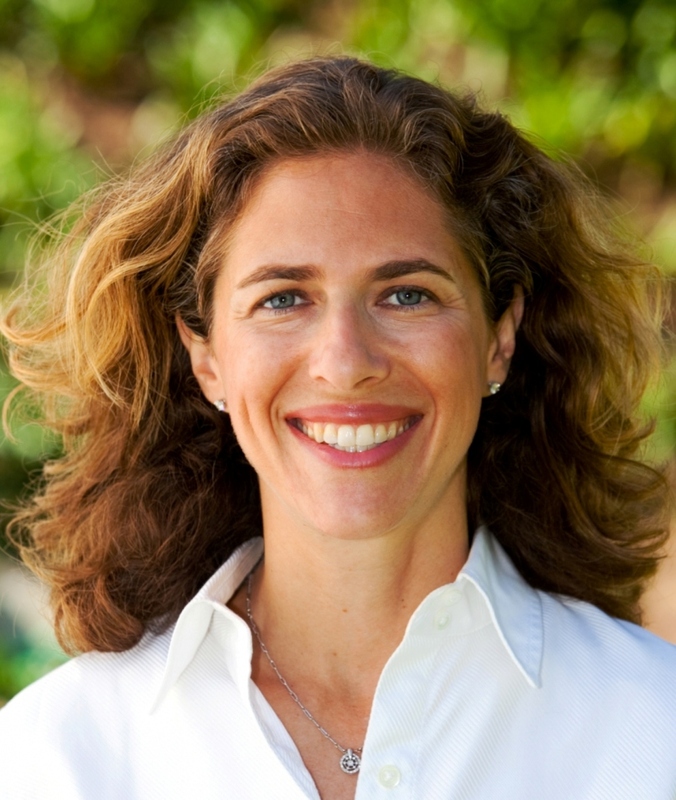 Alissa Finerman is living proof that it’s never too late to start a new life path. 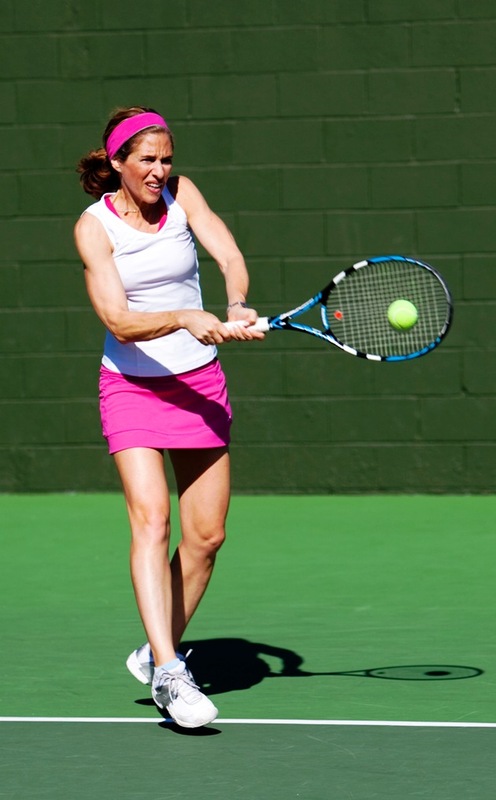 She is practicing what she preaches with her first self-published book “Living in Your Top 1%.” This former Wall Street financier and nationally ranked doubles tennis champ turned life coach serves up what she says are the nine most effective rituals to success. After being laid off as one of the top senior women, she decided to write a book that would help others chart a new course. EYE: What inspired you to write the book? ALISSA: There is a $3 billion self-help book industry right now and some might argue that we don’t need another book. But I think it’s important for people to just redefine success for themselves. I think a lot of us get overwhelmed with life, and then all of a sudden we shift to a different area and we forget all of our strengths. I think for me “Living in Your Top 1%” was a way to take a lot of information and say, “Hey, here’s the bottom-line. If you’re really serious about taking your ideas and putting them into action, you can start by redefining success for you.” You can first realize that from any starting place. If you’re not happy in a relationship, your job, etc., you can actually do something about it. I wanted to make this like CliffsNotes, “Here you go, here’s the takeaway.” It doesn’t have to be that complicated. EYE: How does it feel to have a book…that you wrote… to hold in your hands, and say I did this? ALISSA: It’s sort of an overwhelming feeling. In 2005 I took a writing class and that’s when I set a goal to write a book. I didn’t know what that would be, but I knew I wanted to motivate people. In 2009, I moved from New York to Los Angeles and that’s when I started writing this book. I’m most proud of being able to say I’m going to do something and then doing it. This process took 15 months, and I self published which basically means I was the CEO of the process. There were so many times where I literally had no idea what to do in the assembly line of publishing a book myself. That process was continuing to honestly redefine what was possible almost every day. Sometimes I wanted to throw up my hands! ALISSA: I was definitely living in my top 1% and at times living out of it. I was super determined to do it and told myself this is happening! But there were times when I was very secluded. I was not in my top 1%. I was sacrificing at times and didn’t feel nourished. I like to stay in balance mode, but sometimes I went in and out of that. EYE: Why was this so important to you that you felt so compelled to help other people instead of just working it out for yourself? ALISSA: I can say that you just get compelled; its kind of a push/pull. Now I feel a little more pulled to share that story, that vision. My dad said “I believe in you.” My parents have always been supportive, but the point is every single kid deserves to have someone who believes in them. We don’t all have that. My goal would be to have every kid in America read this book because they all deserve to achieve their personal greatness. I think there are so many people who are still talking about “should”, and people are still doing things that it are not their authentic or genuine life. EYE: You may be the only Wall Street executive who was unhappy when you got a bonus. You write that this was your first realization that finance wasn’t for you. ALISSA: It was one of my lowest moments. I was so unhappy. I think it’s important for people to hear stories like mine. I’m a good example of someone who achieved what many would think are these top 1% moments. 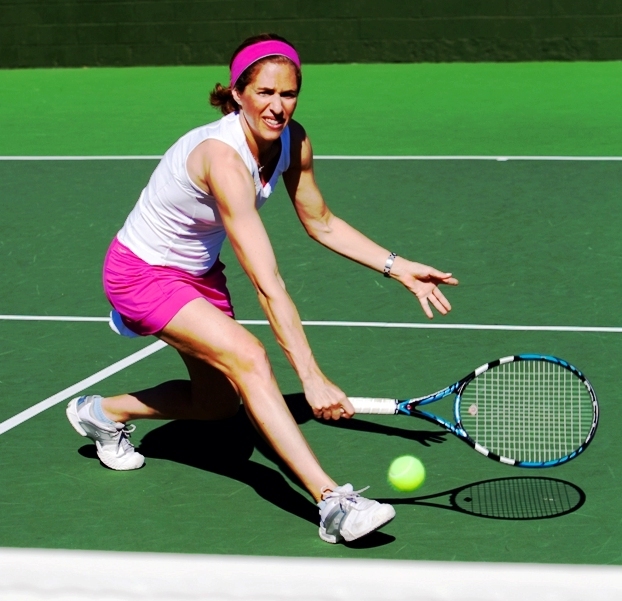 I played on the pro tennis tour, went to the Wharton School, worked on Wall Street…what more could I want? I wanted to share that titles, success, money, etc., may or may not be fulfilling. For me now, I want to make a bigger difference. I feel like I can affect a wider audience. EYE: I was recently laid off. How have you dealt with being laid off from your Wall Street career? ALISSA: I don’t really have a victim approach. Look, I was laid off. I didn’t agree with that layoff. I was the most senior woman, but it was good because quite frankly I would have stayed in that job! It was a difficult process but I don’t look back on it with anger – there is some angst – but at the end of the day why would you leave a job like that? I’m thankful because I am definitely a better person. My day was rushed. I never had time to think, and it wasn’t developing me as a person. I wasn’t using any of my strengths. EYE: Is your secret applying what you learned in your previous career to your new career path? ALISSA: I think all that my jobs had in common was that I got a paycheck. I never really felt fulfilled. I’m just saying when I wake up now and feel excited to speak to 400 women at Dress for Success about making a difference, or talking at the Milken Institute. That’s really encouraging to me. 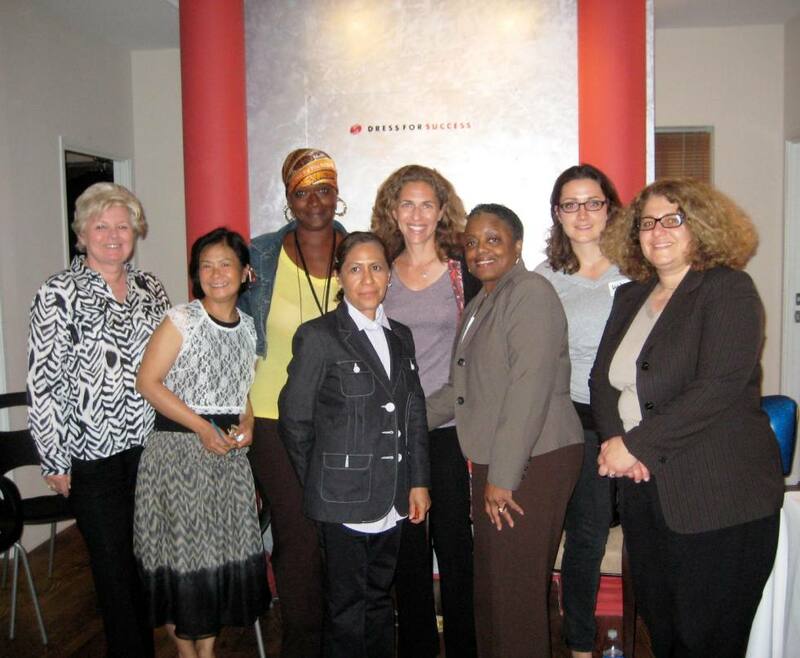 EYE: Are women getting better at redefining their success? ALISSA: I think women have a different level of challenges. It’s a little bit by default that women often become the CEO of their household without being able to say is this all right with me? Is this the role I want to have? It’s not right or wrong. But to find balance (Ritual #9), I think we need to make conscious choices of where do we want to be. These are decisions to be made, but you can’t let society decide for you. EYE: How does it work to have a life coach? ALISSA: I basically work with anyone as long as they are ready to jump in and take action. If someone wants to improve, I’m there. There’s a line between therapy and coaching. I’m not your processor. I’m here to help you figure out a way to move forward when you’re just not sure how to do that. That’s my focus. I’m not here to fix people. You really have to take a look. It’s like being in a crossroads. You have to ask if staying on the same path is really better than taking a different route. I mean I couldn’t stay on my old path one more day. It’s an intersection that many people are at. EYE: Do you think luck plays into success at all? ALISSA: I think you create your opportunities and create your luck. I don’t think a lot about luck. When you’re on a path that does feel right, you will end up where you are supposed to be. I think it’s people who have these rituals, who are consistent, who make choices that align with their goals, who see a certain set of positive results. EYE: What did you learn from playing tennis and how did you apply that to your life? ALISSA: I picked up a racket at 4 and started playing in tournaments at 9. I think the best thing about tennis is it gave me a strong belief in myself, to find independence, mastery of the mind in terms of understanding how we can control what we think. The player who wins 5-all, third set, is the person who is believes he or she can win it. EYE: When I started playing tennis, I had a huge crush on John McEnroe. Being a lefty, I wanted to play like him. Who was your biggest tennis influence? ALISSA: Jimmy Connors. I loved his energy; he was the oldest to play at the US Open; he had an incredible run. And he did a lot with what he had. EYE: Who was your biggest influence on Wall Street? ALISSA: There was one woman I did learn a lot from and looked up to. But I eventually became the most senior woman on my company’s bond desk. The truth is though when I graduated from business school, I almost went into real estate. I was very hesitant to take the Wall Street job, but the money was what I went for at that point. I thought: Build a cushion until I know what I want to do. EYE: What’s the first goal you ever made? ALISSA: Good question. I ended up going to UC Berkeley. Great school and great tennis team – top 5 in the country. I did eventually get a scholarship. One of my first goals was to make the team and play singles and doubles on the team all four years, which I did and became all-American. EYE: What is your proudest accomplishment? 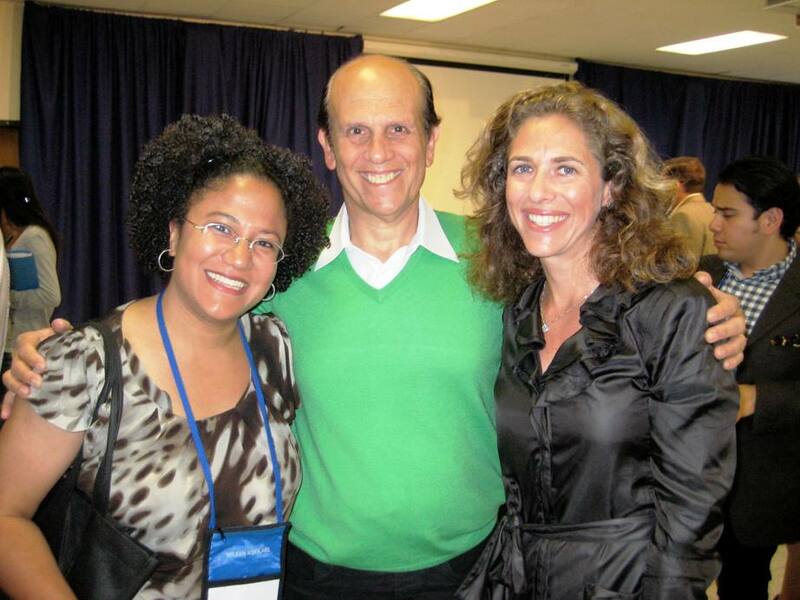 ALISSA: I think getting thank you’s from people after giving a talk at the Milken Institute with Michael Milken, or after they’ve read my book. It’s a different kind of thank you than a boss giving you a bonus. When someone says thank you after I’ve helped them in some way and they wouldn’t have been able to otherwise, it’s so meaningful. My accomplishments continue to be redefined, but it’s the thank you’s that keep you going. And I’m also very proud of completing a half- Ironman in about 6.5 hours. For me, I had nothing left in my body that last 45 minutes. I was completely redefining what I could do both mentally and physically, doing something I never thought would be possible, and being completely outside my comfort zone. EYE: What new goals have you set for yourself? ALISSA: I was ranked #1 in the USTA Women’s Doubles in 2008 and 2009. I would like to focus again on ranking this year. 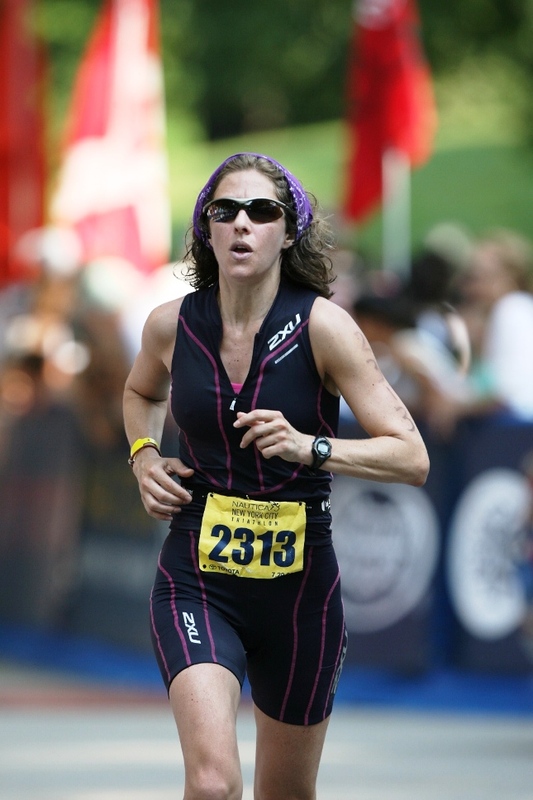 And I plan to do another half-Ironman in Napa, CA, in July!!! And again I also would like to have every young adult read my book through organizations like Exceeding Expectations. My goal also is to donate $50 thousand from book sales to charities such as Prostate Cancer Foundation and Cycle for Survival. I would like to explore a platform for a radio or tv show and to give a speech at a Ted Talks event! EYE: You have a lot of “takeaway tips” in your book. 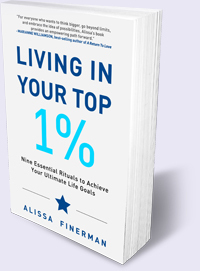 What is the one point you would definitely like readers to takeaway from “Living in Your Top 1%”? ALISSA: There are many people who live their life like an amateur and some like a professional and that’s the difference. Some people have ideas and some people take ideas and put them into action. And some people think everything is impossible and others see how it can be possible. I think it begins with each of us being the CEO of You, Inc. Remember you are in control of all operations. You must make yourself a priority and focus on your greatest asset which is you! EYE: Thank you so much, Alissa! Hope to see you on the court soon! And good luck at the Ironman in July!! !